Helping your business use its Information better! We all work in a world of information, disguised as emails, spreadsheets, presentations and various other types of business documents and media, in multitudes of formats. 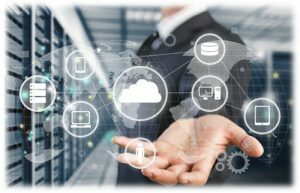 In many cases, we attempt to manage this information with business software applications built by “experts” in particular business sectors, “forcing” our businesses to adhere to the “expert’s” view of what your unique work processes should be. Is it any wonder why many software implementations fail? Your employees have a certain “way” of doing its work, a workflow they have forged from years of doing it everyday. People don’t like change. Implementing an “off-the-shelf” business software will likely require your employees to begin doing what they do in a very different manner. In most cases this isn’t good. People don’t like change. Much less being trained to change. You’ve come to a place of healing. ION Resources exists to help our clients use their business information more efficiently. By employing custom software solutions specifically tailored to the unique way your company operates, ION helps your business build a solid foundation for managing and using information in the 21st century. Do you have an idea for the next killer software application? ION can help you create your vision and see it through to it's completion! Not sure about the overall cost? ION can be your partner to design and build your software idea, and provide on-going product support.